Claims-Long-lasting film forming, Antimicrobial preservative, Perfect payoff, Soft silky, cushiony, rich after feel, Gliding effect, Good blend ability, Skin conditioning, Healing, Satin finish. 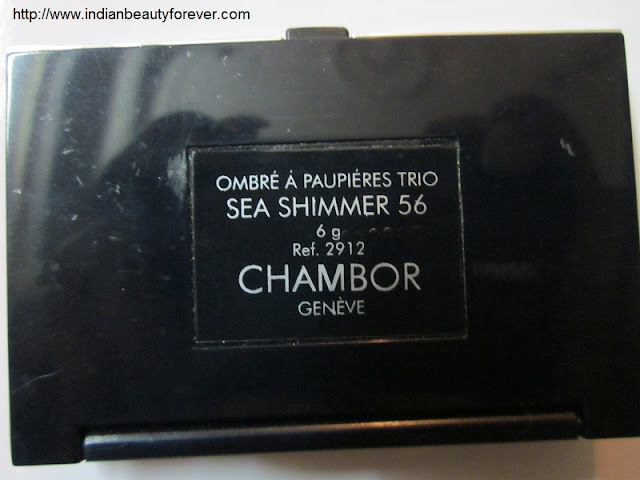 My Experience- Its my second one from the Chambor Geneva trio eye shadows. I really liked the colors and that is the reason why I chose this. 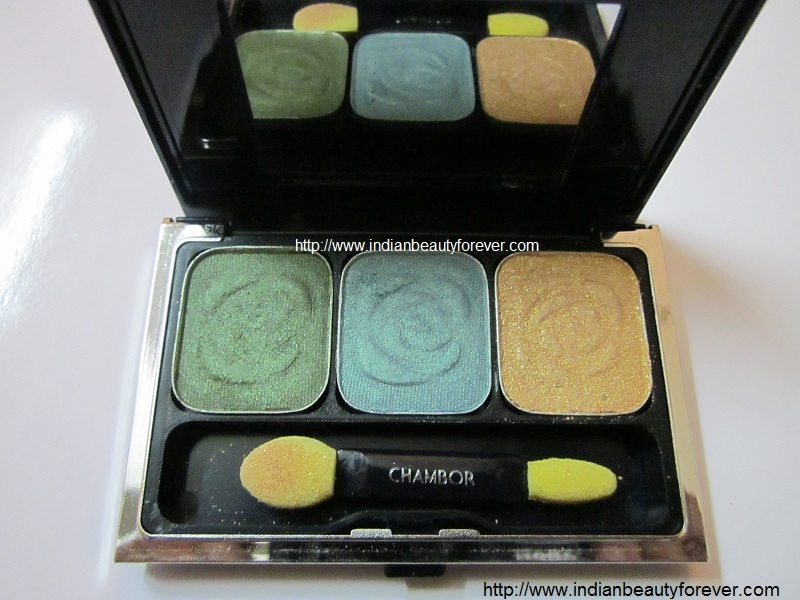 My first trio was Chambor Mystique with awesome neutral colors. It has got three colors: green, teal blue and a golden shadow. 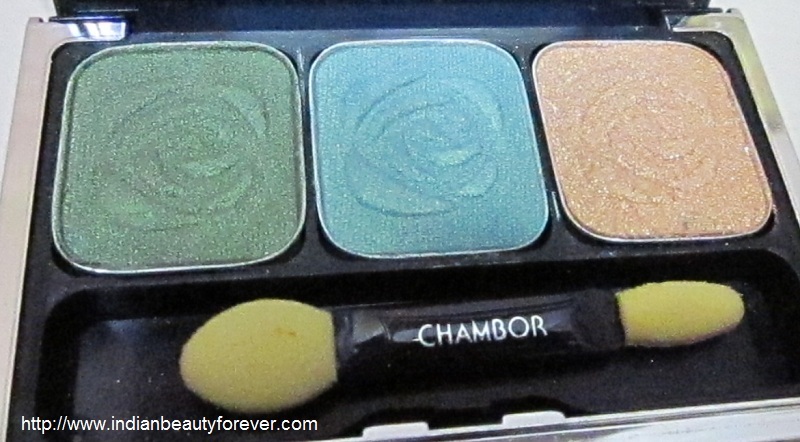 Green and the blue ones have pearly satin finish, very easy to apply and blend in. I liked both of them. They indeed are pretty soft to touch and texture is great. I am glad that the other two colors have done the proper justice to the palette and they are supposed to be my favorite colors when it comes to eye shadows. These colors can be used alone or in combination since green and shades of blue makes an amazing combination. 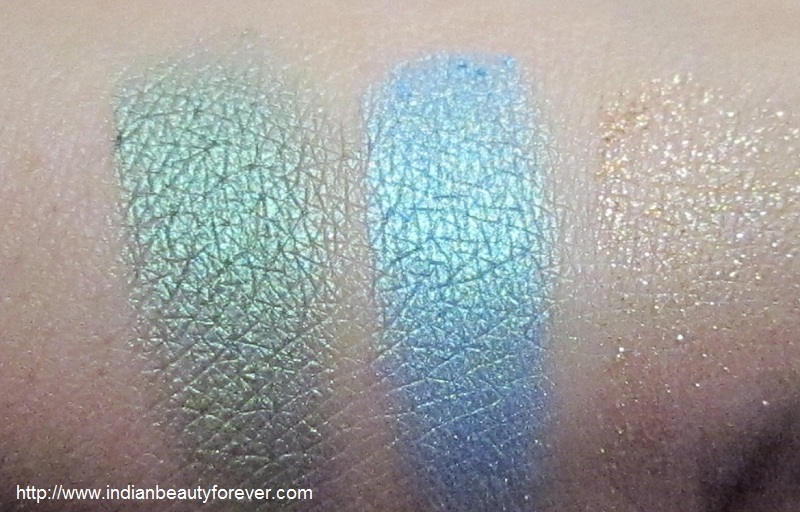 I also realized that the centre color, yes that pretty teal blue one, it reminds me of the Maxfactor Earth spirits eyeshadow in Ultra aqua, similar color and texture they have. Well, this color can have dupes in many brands. Staying power is average, nothing so special to mention, but not at all bad. I have used them once and they were still there unless I touched them. Staying power can be enhanced by using an eye shadow primer before applying them on the lids. I use the eye primer that was in my Faces Canada eye shadow kit when ever, I do eye makeup. 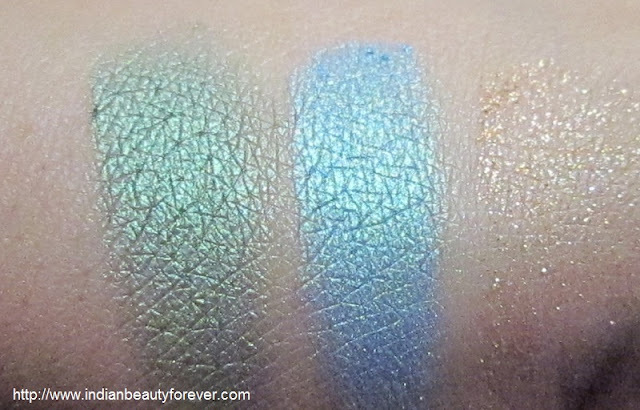 Here are the swatches: The poor gold chunky shadow is not visible much! My take- Decent trio with beautiful pearly satin finish colors, though a little bit expensive, I wish could have been less. 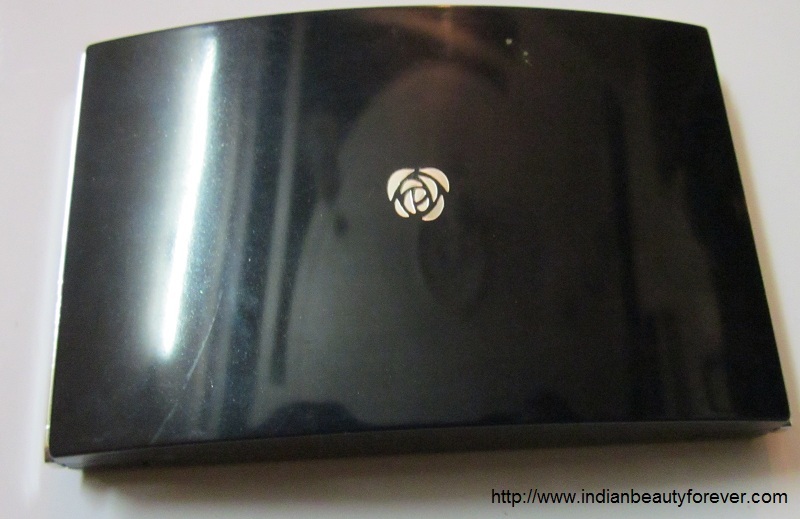 Try it if you like the color or an ardent fan of Chambor products. hey Prayati, i am happy to see you back.. where were you????? hey dear all your fav shades na.lovely shades and nice review. Hey hows ur health ...long time , I was away from internet....nice shades...though too light for me..